DJ T.'s passion for all things music has resulted in an impressive career across a multitude of areas in the industry, including starting up the Get Physical record label. Starting out in the late-80s, with almost three decades of experience under his belt, he has gained a depth of knowledge and holds an influential position both as a DJ and producer, as well as remaining an important figure in kickstarting the careers of numerous international acts. DJ T. recently delved into previously unexplored terrains, with new music landing on AUS Music and Moon Harbour. 2015 has also seen him return to his Chicago and jacking house roots and Australian audiences will bare witness to his performance skills with his return to their shores this holiday season. The German DJ and producer has experienced firsthand the many movements in music over the years, from disco to hi-nrg, through to hip-hop, electro, soul and funk; each of these genres permeating into the music he makes and plays today. 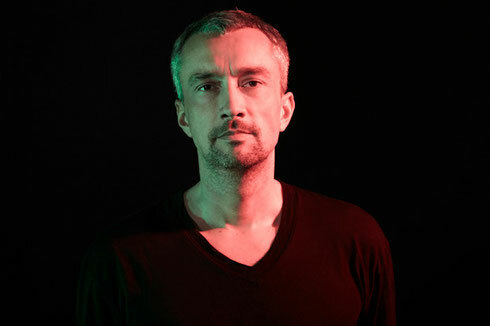 The late-80s proved a pivotal time in his life, launching Sven Vath's Omen Club during the acid house revolution in 1988. Being at the forefront, witnessing the rise of house and techno in the Chicago, Detroit and UK scenes, he made a name for himself by holding prominent residencies over the next decade. By the end of the ‘90s he was apparently one of Germany's most revered DJs. His dedication led him to creating possibly one of Germany's most successful music publications and events series with Groove, and another venture in 2002 when he set up the label Get Physical with five friends. With DJing, event organisation, journalism, club ownership, A&Ring and label management, all on his list of successes, T. has also produced a catalogue of releases. From debut EP 'Monsterbaze' with Steve Bug in 2000, to his first album 'Boogie Playground' in 2005, he has now released three albums, most recently partnering up with Stefan Eichinger (aka LOPAZZ) for the album 'Pleasure Principle' which saw contributions from Maceo Plex, Maya Jane Coles, Tale Of Us, Art Department and Jamie Jones. DJ T. brings his DJ sets to Australia this month, for four dates across multiple cities over Christmas and the New Year.